The Burning Hell and Randolph's Leap are touring Scotland in April 2019. 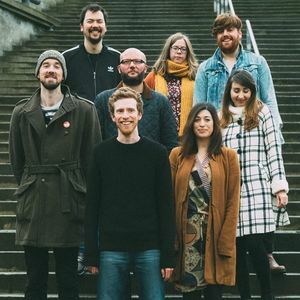 This Canadian/Scottish collaboration will bring catchy melodies, intelligent lyrics and life-affirming performances to audiences across the north of the country. The two acts are a perfect match, sharing a love of quality songwriting which celebrates the humour and heartbreak of day-to-day life. Hailing from Prince Edward Island, The Burning Hell have toured the UK and Europe extensively, charming audiences with a whimsical appeal which belies their somewhat gloomy band name. Adam Ross from Randolph's Leap makes indie-folk music rooted in Scotland's DIY scene having released music on Fence, Lost Map and Olive Grove Records. This tour follows on from 2018's Isle of Love theatre show, a heartwarming depiction of island life which brilliantly showcased Adam's songwriting and storytelling craft.